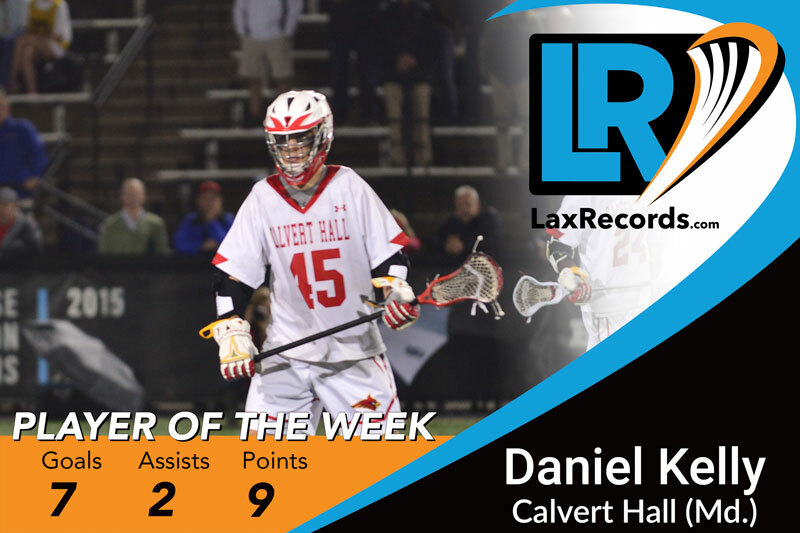 Daniel Kelly from Calvert Hall (Md.) 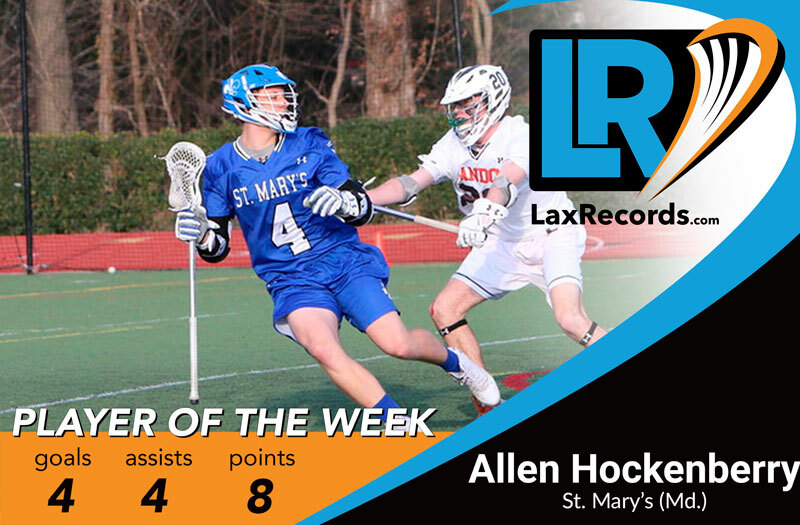 provided key goals in a crucial meeting against McDonogh (Md.) 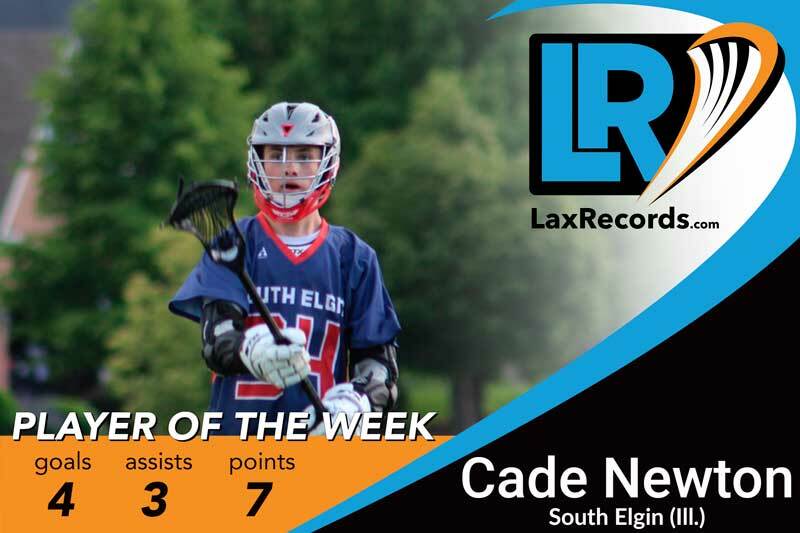 to earn Player of the Week for Week 7. Kelly totaled seven goals and two assists in two conference wins last week, including scoring key goals against McDonogh (Md.) - an important conference meeting. Against a McDonogh team motivated to earn its first conference win of the season, Kelly came up huge. Calvert Hall had an 8-4 lead at halftime, but McDonogh closed that lead to 8-6 late in the third quarter. Then, Kelly struck for three-straight goals to post the lead back to five, 11-6. Kelly started the week with three goals and an assist on the road against John Carroll (Md.). The senior followed that up with a four goal, one assist game against McDonogh (Md.). “I didn’t really do much – I had three dunks and a lot of credit goes to Jack Sawyer, Grant Mitchell and Truitt Sunderland – those guys find me a lot on the back pipe a lot and I just got to put it away,” Kelly told the Baltimore Sun. Burke totaled six points with four goals and two assists in a 15-10 win over Mountain Vista (Colo.) to start last week. He followed that up with five goals and one assist against Mullen (Colo.) on April 5. The junior has posted back-to-back six-point games. Carroll went 30-for-33 on faceoffs last week, including a perfect 15-for-15 against Charlotte Catholic (N.C.). His performance pushed him over 400 career wins. And he is only a sophomore. For this season, he has won 200 of 238 (84 percent). With his 15 saves against ThunderRidge (Colo.) the senior became the Colorado all-time save leader. The Eaglecrest (Colo.) goaltender has 81 saves this season to give him 728 for his career. This surpassed Grant Osterlund’s previous record of 724 that was set in 2014. 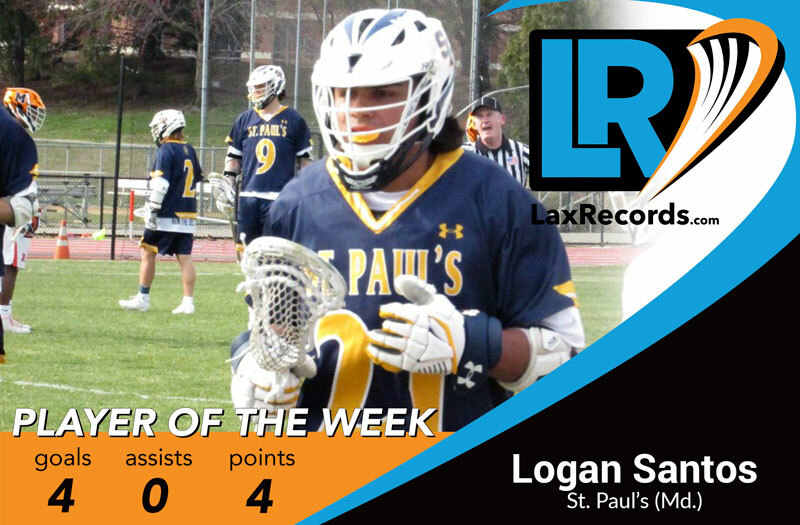 The senior scored three goals, including one with 0.3 left in the third to help the Saints topple St. Paul’s (Md.) 11-9 in a crucial meeting of MIAA A Conference teams. The win gave St. Mary’s a 2-0 record in conference play and a win over the team that was coming off a win over the No. 1 team in the nation. 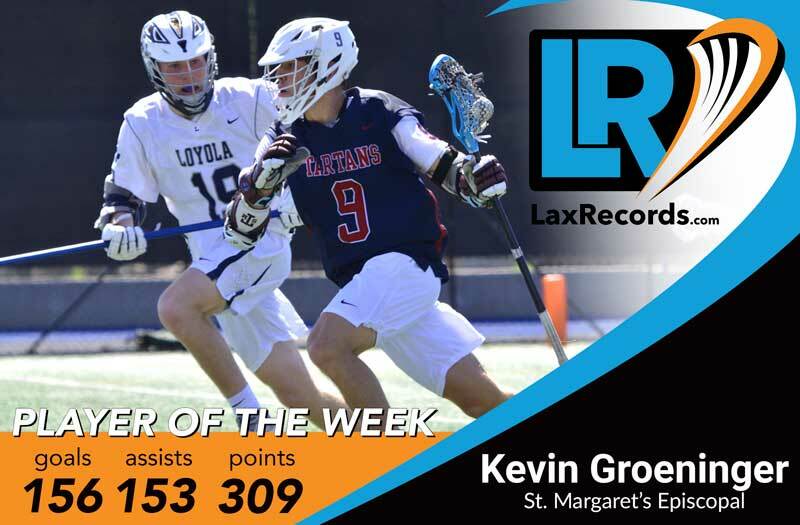 He followed that up with four goals against Loyola-Blakefield (Md.) to push the Saints to a 3-0 conference record. Macadory scored three goals, but it was his final one as time expired that helped the Friars to a 10-9 win over Manhasset (N.Y.) on April 2. The win helped the Friars improve to 3-0 on the season. 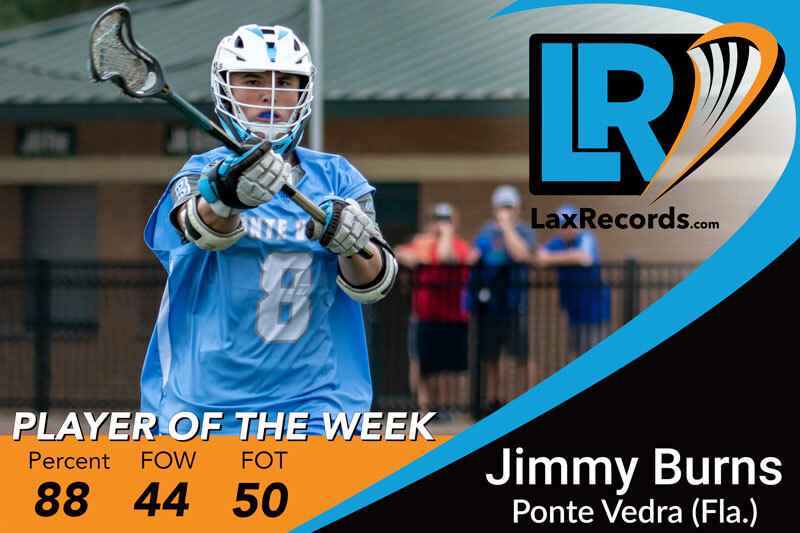 Malever reached 300 career points earlier this season, just added his name to the next century club after five assists against Pace Academy (Ga.) on April 5. 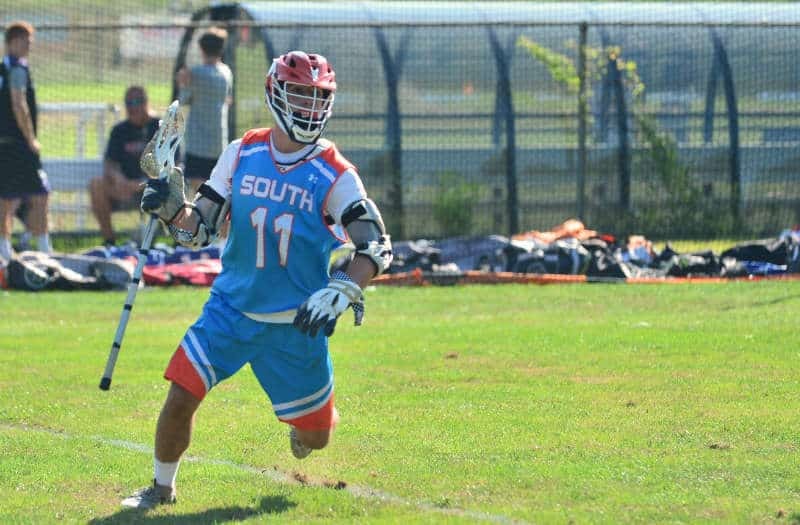 The Maryland commit reached 400 career points and has 116 points on 63 goals and 53 assists this season. Perry scored five assists and four goals in a 16-7 win over defending Division I champion Boston College High School (Mass.). 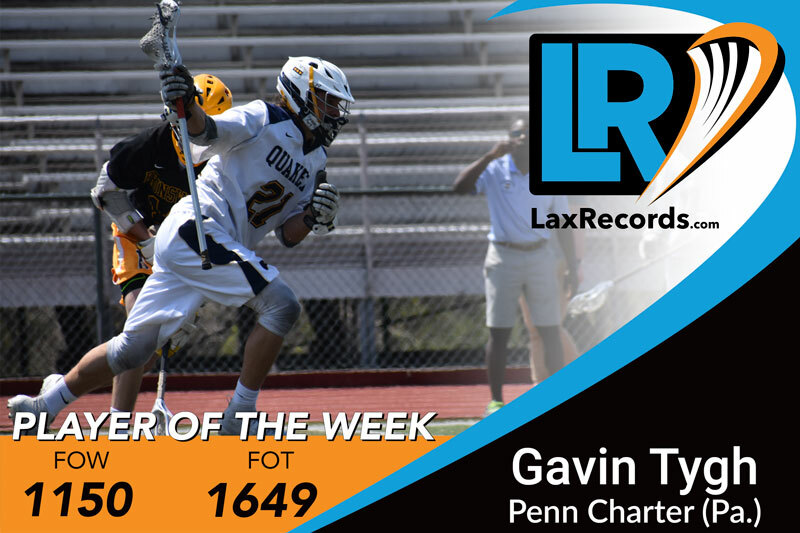 Perry (Lehigh commit) helped spark a second quarter in which Xaverian scored eight-straight goals, which included seven in the first five minutes. 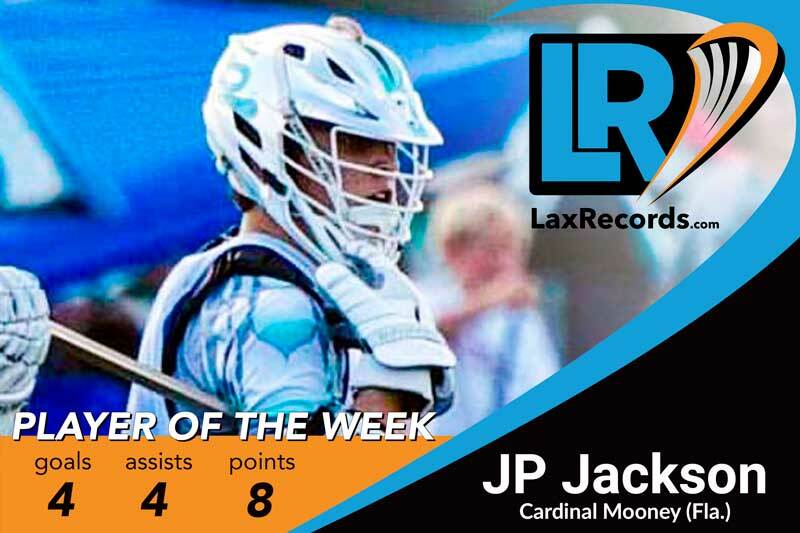 The sophomore led North Cross with five points in an 11-9 win over Episcopal School (Va.) last week. Pollock dished out three assists and scored two goals in the win. 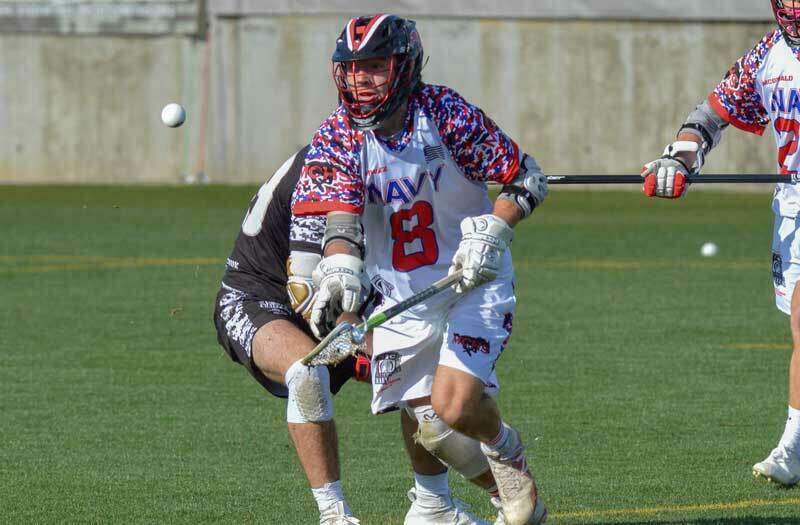 Rogan scored three goals and two assists in a meeting of Long Island powers. Rogan led the Flyers in scoring in a 13-8 win over Massapequa (N.Y.) on Tuesday. Schwartz went over 800 career faceoffs wins last week with an 18-for-23 performance against defending 3A/2A/1A state champion Weddington (N.C.). 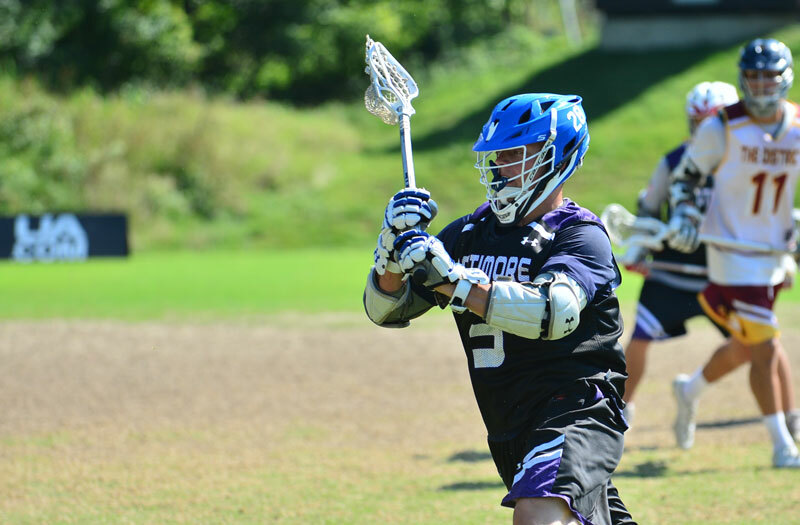 The senior is coming off a junior season in which he won 78 percent of his faceoffs. He is winning 82 percent of his opportunities this season.